Jakarta Transportation Dept. (Dishub) prepares traffic engineering during underground road crossing (TPO) project is under construction. This TPO will be made between Australian International Schools on Jalan Pejaten Barat, South Jakarta.
" First phase traffic engineering will be applied during September 5-October 31, 2018"
Technically, this TPO will connect two school buildings which is located on the south and north. 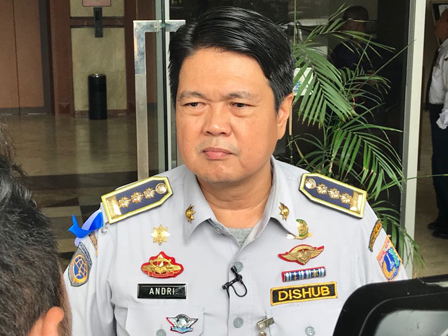 "First phase traffic engineering will be applied during September 5-October 31, 2018," informed Andri Yansyah, Head of Jakarta Dishub, Thursday (8/30). On the first phase traffic engineering, his side will divert traffic from Simpang Pejaten towards Kemang Barat to go through a detour on the south side. This traffic engineering will be done since there are soil excavation and tunnel walls construction on southern side of Jalan Pejaten Barat. "Second phase will be applied on November 2-December 31, 2018," he said. On second phase, his side will divert traffic flow from Kemang to Simpang Pejaten to go through detour on the south side during traffic engineering. This is done because soil excavation and tunnel walls construction will be done on the north side of Jalan Pejaten Barat. "We remind road users to avoid those roads and follow traffic engineering instructions," he affirmed.